The Govt. Of Orissa Commercial Tax Department Website orissatax.gov.in, is facilitate trade & business in the State of ODISHA to improve regulatory oversight, deter tax evasion and encourage voluntary compliance with various e-services. E-Services Includes Waybill, e-CST Form, e-Transit Pass. 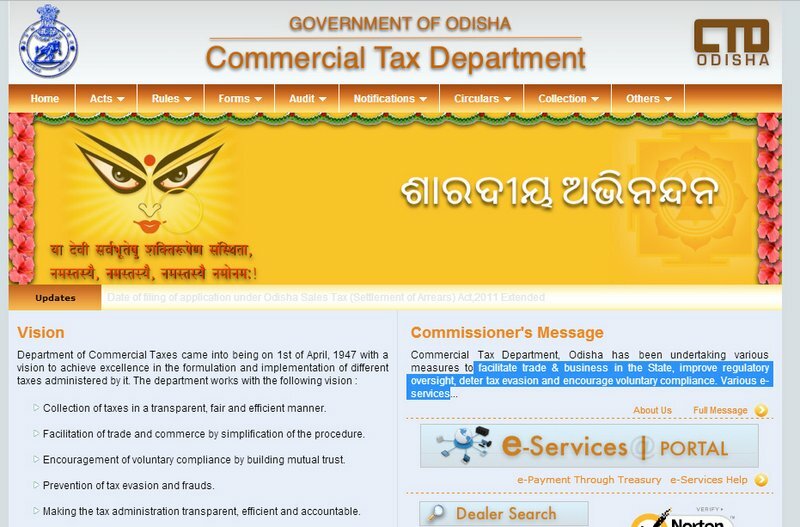 Also one can get a detailed help through the website , on Guidelines to follow when you are e-filling your taxes.